A key announcement by Finance Minister, Malusi Gigaba this week included the increase in offshore allocations by institutional investors of 5%, meaning that institutional investors can now invest up to 30% offshore. However, institutional investors typically include retirement funds. 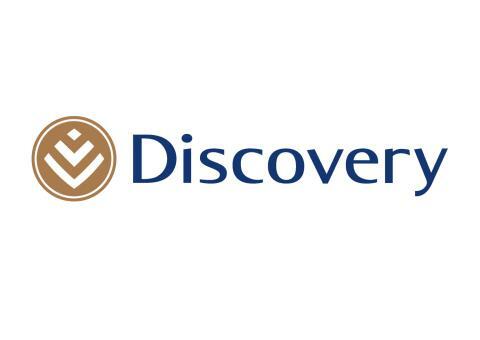 Discovery Invest approached the Financial Services Board for clarity on how this would work practically in light of the Regulation 28 restrictions under the Pension Funds Act, which currently stipulate that retirement funds may not invest more than 25% offshore. Olano Makhubela, Deputy Executive Officer for Retirement Funds at the FSB confirmed that retirement funds would now be able to increase their offshore allocations to 30%. Makhubela explains that Regulation 28 provides that the aggregate exposure to foreign assets must not exceed the maximum allowable amount as determined by the South African Reserve Bank, or such other amount as may be prescribed. “So, once the South African Reserve Bank prescribes the additional 5% investment allowance already announced by National Treasury this week, a retirement fund may increase its exposure up to the increased amount,” he says. Kenny Rabson, chief executive officer of Discovery Invest, welcomed the announcement. “This is a major step for the retirement services investment world, and will allow investors the opportunity to further diversify their investment portfolios,” he says. Investors can also achieve increased offshore exposure via endowment policies if the insurer or financial services provider decides to invest a further portion of the assets backing the policy offshore. Note that the foreign exposure limit of 30% applies at an institutional level, and only on the institutions’ total retail assets, to avoid double counting. * Foreign investments: there is an overall limit of 25 percent, with offshore investments also being included in the calculations for each asset class. * Cash: 100 percent of retirement fund assets may be held in cash instruments but with sub-limits of 25 percent on deposits with any one local bank and five percent with foreign banks. * Debt: 100 percent of assets may be held in any South African government-issued or guaranteed debt instruments (bonds) and 75 percent for all other debt instruments. Instruments guaranteed by foreign governments are limited to 10 percent of a fund’s assets for each issuer but with the 25-percent limit on all foreign investments. * Equities: the limit on equities is 75 percent, and there is a limit on individual companies based on their market capitalisation. For example, a fund may invest up to 15 percent of its assets in a company with a market capitalisation of R20 billion or more, but only five percent if the market capitalisation of the company is less than R2 billion. * Immovable property: a retirement fund may invest up to 25 percent in property, including listed real estate companies, with sub-limits on investments in individual entities depending on the size of the entity. Property equity investments are not included in the 75-percent equity limit. * Commodities: a retirement fund may invest up to 10 percent of its assets in commodities. The full 10 percent may be in gold, but there is a limit of five percent in other commodities. * Alternative investments: the overall limit is 15 percent, but hedge funds and private equity funds are each limited to 10 percent, and there are further sub-limits on single entities.